Overview: Some twenty indigenous tribes of Taiwan are that island's original inhabitants, having arrived from scattered Austronesian islands centuries before the first major Han Chinese immigration began in the 17th Century. They live in the mountains and along the eastern coast, maintaining distinct ethnic identities though typically speaking Chinese in addition to their native languages. 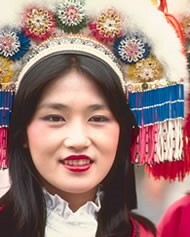 Many of these tribes turned to Christ in people movements during the Japanese occupation of Taiwan from 1895 to 1945.